Plantronics APC-43 Headset Electronic Hookswitch is a device used to get rid of the need to use HL10 handset lifter on top with the wireless headset. 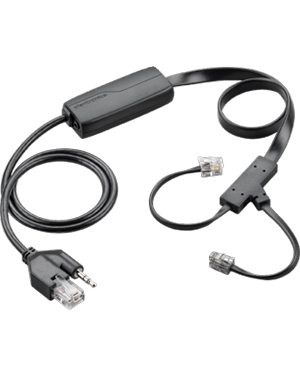 This particular device is highly compatible with severa; Cisco IP phones and Plantronics wireless headset models. 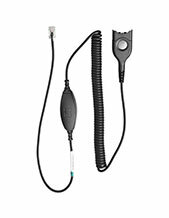 Using this specific cable, users can handle and manage calls more seamlessly and even in remote operation. Through the cable, users get to answer and end call using the headset and enable remote ring alert, anywhere the user is withint the wireless range of the device. Users also get to move around the office environment using the device. Do you want to talk to our company representative? Give us a call through Australia wide 1300 131 133 right now. Plantronics is an electronic consumer enterprise that is headquartered in Santa Cruz, California. With over 5,000 employed experts working for the company, it was able to deliver efficiently to the global market with several specialties right at the company’s hand. Some of the specialties that the company has include unified communications solutions; digital enhanced cordless telecommunications, and small business communications. Plantronics has become a frontrunner in the industry of consumer and business audio communications since its establishment and for decades has made its goal to support customers and their needs to stay connected at all times. This is made possible by providing consumers with clear and simple communication solutions in a more comfortable and care-free environments. Plantronics is popular for developing and designing equipment and solutions that can support the communication foundations of all types of customers in the market. The company is popular for manufacturing devices that can help customers freely move around while staying connected through hands-free communication solutions. 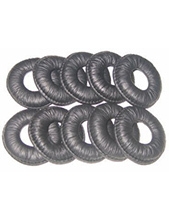 Headsetsonline Pty Ltd is an online store that operates through its online store located at Headsetsonline.com.au. The company takes pride in its expertise in delivering high quality audio and sound devices and solutions in the Australian market today. In fact, the company has been operating in the market as part of a popular enterprise trusted by government agencies and corporate sectors since the year 1998. 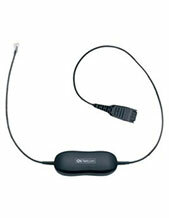 Headsetsonline makes sure that all transactions that are processed in the online store are secured and protected. This is through the company’s online site that carries a green URL HTTPS address bar. This site also uses a GeoTrust True Business ID with Extended Validation. The company’s enterprise-encrypted secured website has 256-bit identity authentication and 2048-bit root encryption, which are additional security to customers’ shopping experiences. Headsetsonline markets and sells a lot of products and solutions through the site. Deliveries from the company are then accomplished using flat shipping rates.